Underwater photography is one of the most popular diving specialties, and the rise of digital underwater photography has made it easier and more fun than ever. This is why there are actually two underwater photography courses. The Digital Underwater Photographer course gets you going quickly with today modern digital equipment, whether you use a point-and-shoot snap camera or a sophisticated D-SLR like the pros. 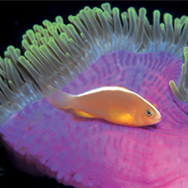 The Underwater Photographer course is a more traditional photography course designed for conventional film equipment. 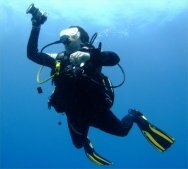 You use all the same basic scuba gear you would use for the diving environment. Obviously, you also need an underwater camera system. Avoid the frustration of learning underwater photography through trial and error. The Digital Underwater Photography crewpak shortens the learning curve with tips and hints from the pros. 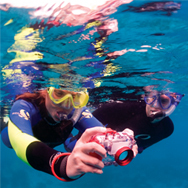 The crewpak includes the Digital Underwater Photographer Manual and submersible white balance slate. The course materials preview skills you’ll practice with your instructor. Once the course is over, use your manual as a reference guide as you explore new environments and to evolve your skills. Two excellent specialties to pair with underwater photography are the Enriched Air Diver course, and the Dry Suit Diver course on your way to Master Scuba Diver The Enriched Air Diver course allows you to extend your time underwater so you have more time to capture images. In cooler climates, a dry suit allows you to dive comfortably longer, and to make more dives.